Meet Nella, a kind and gracious princess as well as a brave and courageous knight! She loves jousting as much as jewellery, and daring quests as much as glittering gowns. 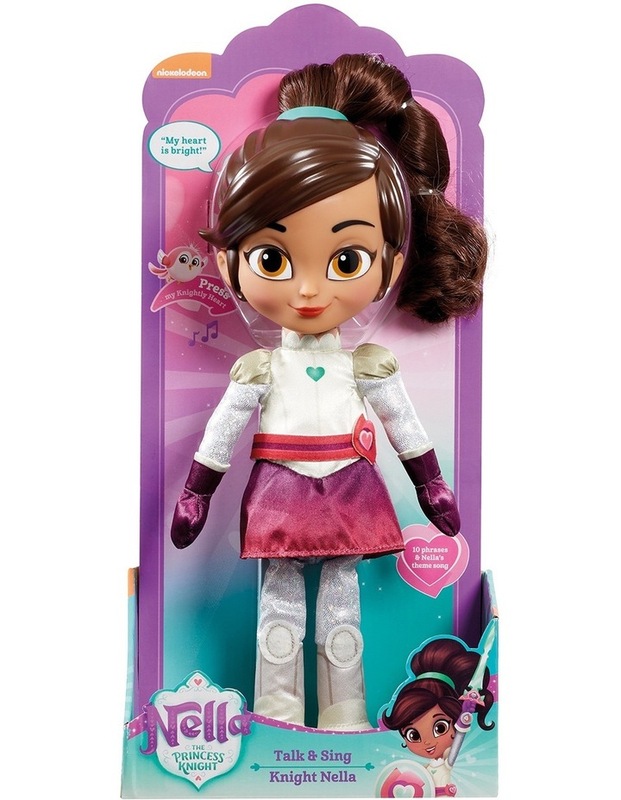 This soft-bodied Nella doll says phrases from the show and sings the Nella the Princess Knight theme song when her Knightly Heart is pressed. 2 x LR44 batteries included. Suitable for ages 2 years and over.